Why do people invent? What is the purpose of innovation? Earning (more) money? Making people’s lives easier, more interesting? Make the world more sustainable? Sadly enough, in many cases innovation is based on financial benefits. 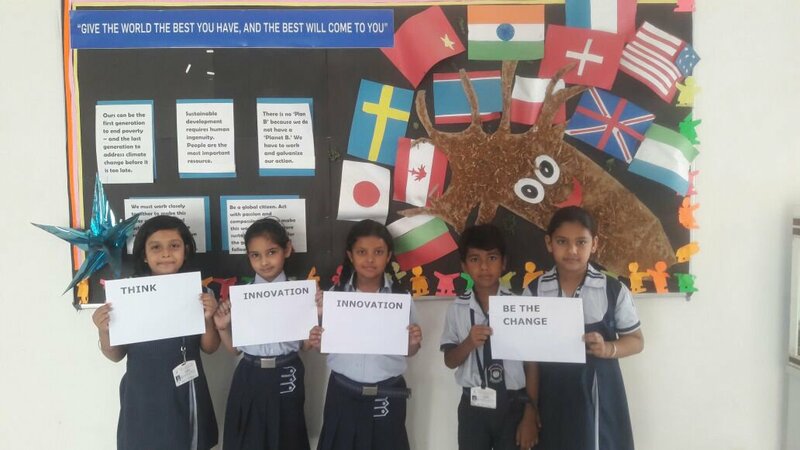 So, it’s time to connect students around the world focusing on innovations that make the world more sustainable. This is how the Innovation Project was born. 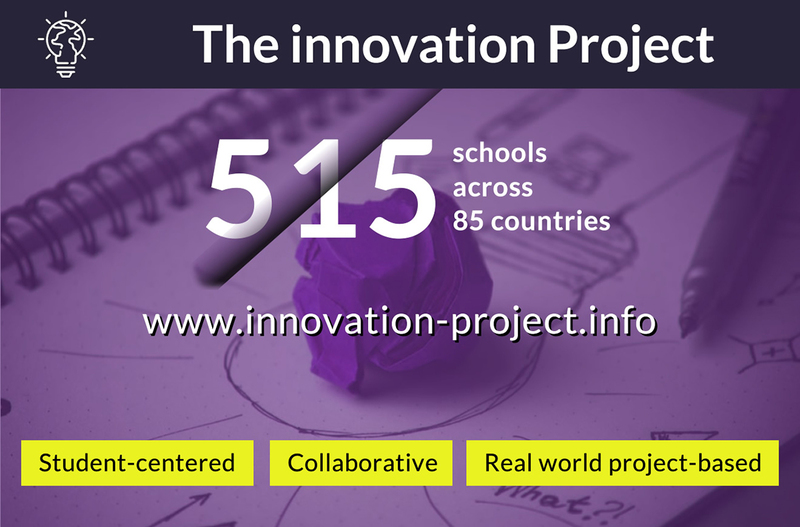 The Innovation Project was launched in April 2018 and involved 515 schools across 85 countries. It was supported by people and organizations including Charlize Theron (right), Greenpeace, the OECD, Microsoft Education, CERN, HundrED.org, policymakers, scientists, and other public figures. 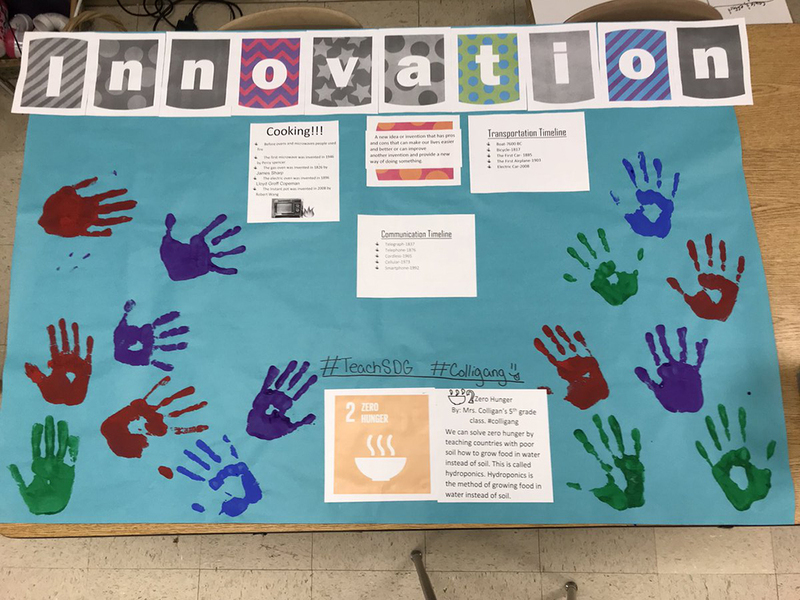 Both teachers and students benefitted from the Innovation Project, and the UN Sustainable Development Goals offered a perfect framework to categorize the needs to make the world a better place. For teachers, the benefit was the method: educators were driven outside their comfort zone as they were asked to guide their students rather than instruct them. 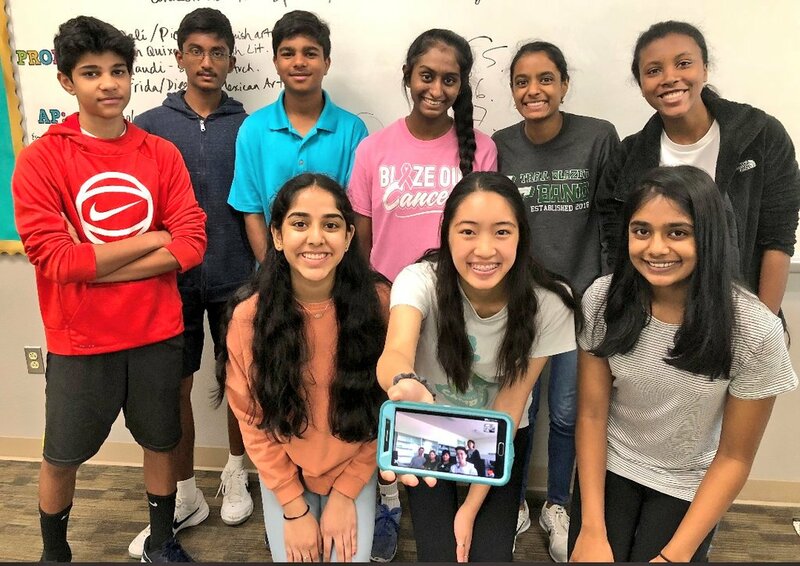 Each week, student-participants created a video which their teacher shared on the website https://innovation-project.info. In the first stage, they collaborated with their peers in their own classroom. 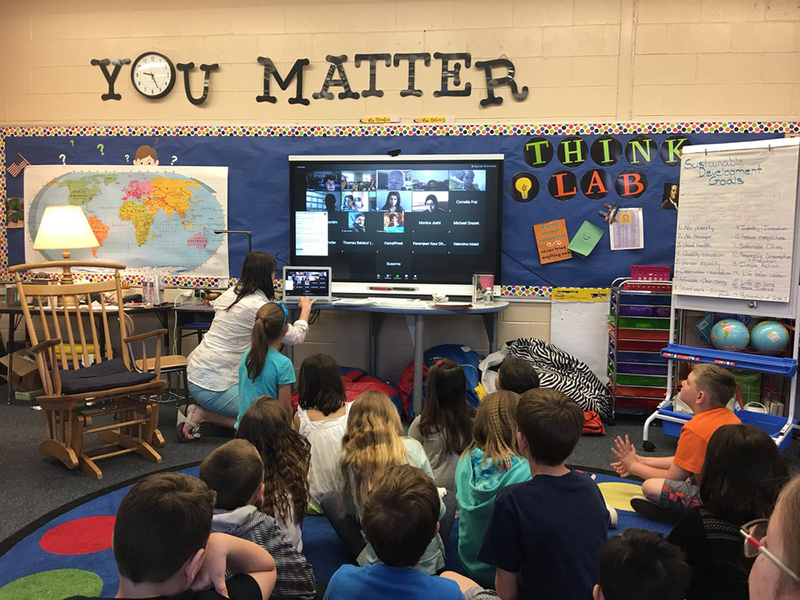 After watching the videos created by peers around the world, students had Skype calls which allowed them to share their findings and expertise. Their calls allowed them to shift from asynchronous to synchronous learning. The outcomes were outstanding: students went on excursions, interviewed people, connected to experts on social media, wrote poems, got a better understanding of the SDGs, and took action. Learning became fun, more deep and authentic, and teachers, too, were offered a global platform in which they could exchange best practices, applications, and feedback. Students were allowed to feel more creative, engaged, and empowered. Formal education very often implies teachers instruction, assessment, and memorization, with students from very different classrooms having very limited communication and collaboration. In this project, both teachers and students were allowed to make mistakes. The project involved students from around the world: Sierra Leone, Saudi Arabia, Finland, Canada, Argentina, Australia, Uganda, Ireland … all students participated with or without technological resources. But they all learned by making connections. In all, 124 innovations were submitted to our website. (See them here!) Some of them can bring real changes in certain communities. The American students in Mike Soskil’s class decided to help their friends in Malawi after having a Skype call. They began to grow food with 90% less water using aquaponics. The Guatemalan students in Lucrecia’s class invented a new kind of water recycler. In Belgium, Olivier Dijkmans and his students created a prototype to charge smartphones using fidget spinners. Loup created a self-sustaining solar project in China. Indian students found ways to make sea water drinkable and an app to recycle plastics. Israeli kids made a plasticine machine. Mio Horio’s Japanese students of made a prototype on the issue of water access and clean water. Students in Argentina focused on gender equality. Canadian students invented the Life Bag, which could help the 4.8 million Canadians who fall below the poverty line. Students in Macedonia created blueprints for a solar phone. Brian Copes, his students, and I developed our own solar suitcase which offers free and sustainable power supply to one African school. This will be a genuine game-changer. During the project, students were able to find solutions and realized their opinion matters. 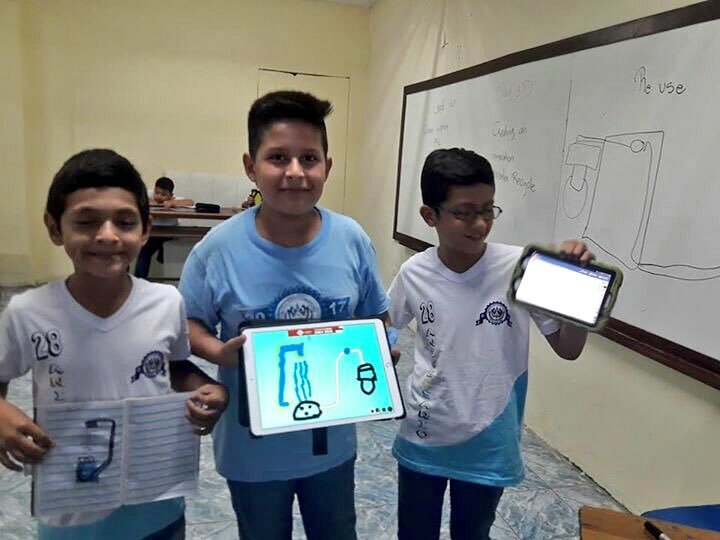 They became content creators, and established a scenario in which they learned from each other and created an online library of 73 tutorials in which they explored their favorite ICT tool. Even the teachers were learning from the students. You may have noticed I’m a fan of collaborative learning, but students still need good instruction as an introduction. These instructions don’t necessarily have to come from a teacher! We set up three webinars with experts: journalist Lisa Hrabluk, game developer Joao Ramalheiro, and frogman Richard E. Hyman (a former diver from the famous Cousteau crew). These experts shared their expertise and knew how to inspire teachers across 50 countries. 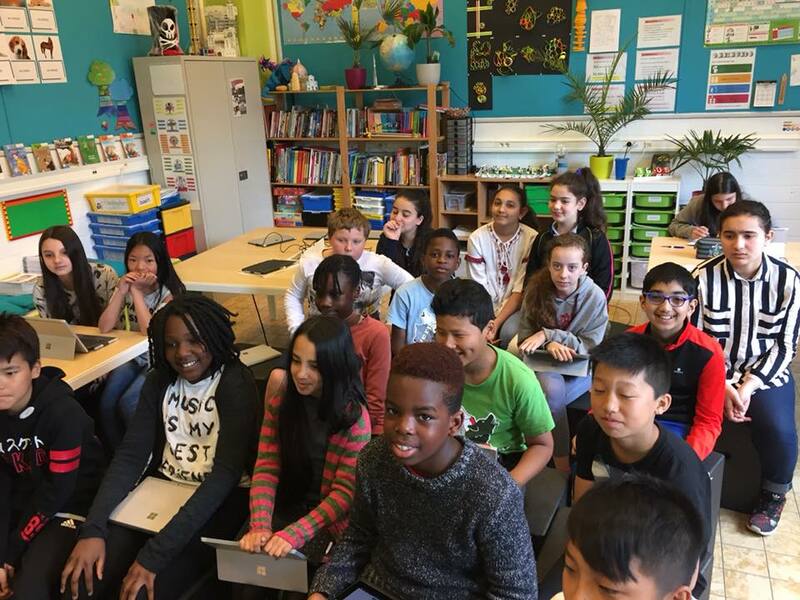 One Indian student sent an email to her teacher that described how, while working toward an SDG, the process changed her life and way of leading it. She understood that happiness does not lie in materials but is in all our surroundings. Alessandra Pallavicini, a teacher from Italy, shared that she was surprised to see her students even working on the project during some days off. Nowadays, it’s hard to keep track of innovation. I was stunned when I was able to control a drone with my mind, and was in awe when I saw the video in which Google Duplex makes an appointment with a hairdresser, or the fact that Chinese schools are using facial recognition software to scan their students’ emotions twice a minute. Technology is here to stay and my personal opinion is that artificial intelligence will be the real deal. Will robots be able to replace teachers? In my opinion, robots are already able to instruct our students. Will AI be able to solve our students’ questions? I’d say yes. But will they be able to instill empathy in classrooms? I don’t think so. No app for pedagogy. I like it. Your blog is written in a very good way. keep on sharing. I am following to get update. This is a great news school going students are making such a amazing projects. I am working for Dubai schools going students. Inspiring. Conformity to the current education system needs to be reversed back or uplifted to a different standard. I am following Charlize Theron for last three years and seriously i love this kind of human and i believe they are real revolutionary! Keep up the good work! This project looks amazing! I wish we’d been part of it. Will you run it again? I am in awe sometimes of what our youngsters are capable of creating. The potential of their creativity is inspiring.